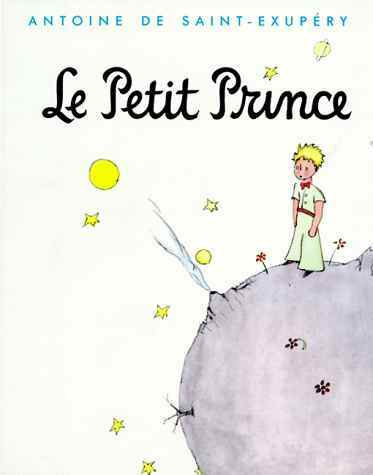 I have to admit that I was inspired to reread The Little Prince last month after watching a particularly good episode of NCIS. Another blogger I follow had written an in-depth analysis of the episode, and she included a nine page discussion on its references to The Little Prince. I rarely read posts like this with more than a cursory fangirl eye, but she did such an excellent job that even though my memories of The Little Prince were not positive, I felt moved to click the link she provided to read it online. I remember owning the book when I was a child, and I also remember hating it, thinking it was very dull and pretentious, and only keeping it because I loved the artwork. When I was in college, I majored in Theatre Education for one semester before I switched to Writing, Literature, and Publishing (my school’s version of the English major), and during that fall, I was forced to work on lighting for a stage production of the book. I have worked on many shows over the years, and a typical response to being involved was to develop a fierce and devoted love for the show, regardless of how I may have felt before. This was not the case with The Little Prince. The show was long, and the songs were tedious. I must have seen the whole thing, beginning to end, fifteen times, and I hated it a little more with every viewing. Actually, that’s a lie – I hated it a lot more. This experience cemented my impressions from childhood, and I decided to wash my hands of the book entirely after the musical was finished. Many wonderful stories are waiting anxiously to be read – why waste time feeling frustrated with one that doesn’t resonate? I happily put it out of my mind, ignoring it when I saw it in bookstores, carefully sidestepping conversations about the story whenever it came up, which is surprisingly often, likely because it is one of the most popular French books ever published, and because I am apparently an inhumane and shallow monster for shunning it and must be reminded of that whenever the topic arises. This last issue was a real problem for me, I have to admit. People do not seem to like to be told that something they enjoy is not universally loved; I’m no different. Unfortunately, I’m also the kind of person who can be drawn, through calculated button-pushing, into arguments about things I despise, even if I have promise myself I will keep quiet. I had promised myself repeatedly to keep quiet about my true feelings for Le Petit Prince, and many times I have failed. So I was more surprised than anyone last month when I clicked through and read the whole thing in an hour. I had just read this beautiful post about how its symbolism connected with one of my favorite shows, and I was as open to the experience as I could possibly be. And for the first twenty-four chapters, I felt…well…nothing. The story undeniably has some lovely lines, of course, but most of them have been tee-shirted to exhaustion, and their familiarity, rather than making me love them more, made them feel even more removed from my experience. I found I could not relate to the “grown ups” that are despised, nor to the pilot, or the prince. I was annoyed by the fox. I loathed the rose. I felt like I was simultaneously looking behind the curtain at the man pulling the strings while also desperately trying to remain innocent enough to believe in the magic of the show. I understood that the deeper ideas had gone over my head as a child, during the time when I should have been charmed by how misunderstood and curious the prince was. Instead, I found myself comparing him to Holden Caulfield, the protagonist that I hate to hate. What was wrong with me? Why did everyone else seem to love this book? What was I missing – was the fault really in the story, or was it in me? And then I got to the end of the book, and for the first time in all of my readings and viewings, I felt sorrow nudge at me. Here, finally, was a small taste of a great existential sadness, a loss that I could conceive of and appreciate. I tried to rationalize the pages, and my response to them, but I couldn’t. All I knew for certain was that I felt a deep connection to Antione de Saint-Exupéry when I finished the book. He had done something – something many of us foolishly and lovingly do in our fiction – he had forgotten, for just a moment, that he was writing a story, and instead, a piece of himself got caught on the pages. Yes, there he was, completely vulnerable and inescapably naked for all of his readers to see. It’s painful for me when a writer does this unintentionally. I can almost always tell, in fiction, whether a line or a chapter was meant to draw the reader’s eye through the fourth wall or not, because when it’s not, the emotional impact is enormous. All of a sudden I find myself standing, quite awkwardly, within the author’s secrets, and as much as I want to step out quickly to avoid the embarrassment, it is impossible. I cannot leave until the horror and humiliation and frailty has been accepted, catalogued, and filed into my memory. Once this has happened, I can never think of that person in the same way again. Their unfinished edges will always be showing. Will you let me know how the biography is? I read about him while I was writing this, but if there’s a great book about Saint-Exupery, I would be very curious to read it! Will do – it’s written by Stacy Schiff. I just finished reading her biography on Cleopatra and discovered she had written one on Saint-Exupery. I liked Cleopatra and was intrigued by the general description of the Saint-Exupery bio so I’ll let you know how it turns out. When I read it for the first time I was 12. I remember I said the same thing: it is dull and pretentious, I didn’t understand why it was considered an incredible book ( in Italy is considered one of the most beautiful short story ever written. I read it again 2 days ago and I can say now that there a lot of namby-pamby phrases and this is a thing that I hate in a book but, at the end, I felt in connection with the author. Thanks for this review, it’s the only one I found which reflects my thoughts. I’m so glad I was able to help you connect with this story a little better! I have to admit that I get so frustrated when I hear about a book that everyone loves, but which I can’t stand! It can be so frustrating to try to find something worthwhile, but at least in this case, I’m happy that we both did.